After observing the fifth spring practice on March 20, it is safe to say that the Badgers most definitely have an enticing season ahead. 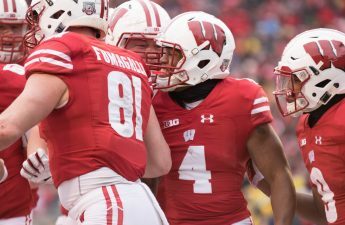 Despite the loss of some beloved seniors such as Troy Fumagalli and Jack Cichy, the Wisconsin Football team has their heads held high, and have confidence in their team going into next season. Jake Ferguson, AJ Taylor and Beau Benzschawel were all available to the media for offensive interviews. Freshman tight end Jake Ferguson revealed that the team, although feeling confident, still has much to work on. He emphasized the importance of “setting the standard” both individually and as a team early in the year and how it is critical for the team to be successful during the season. 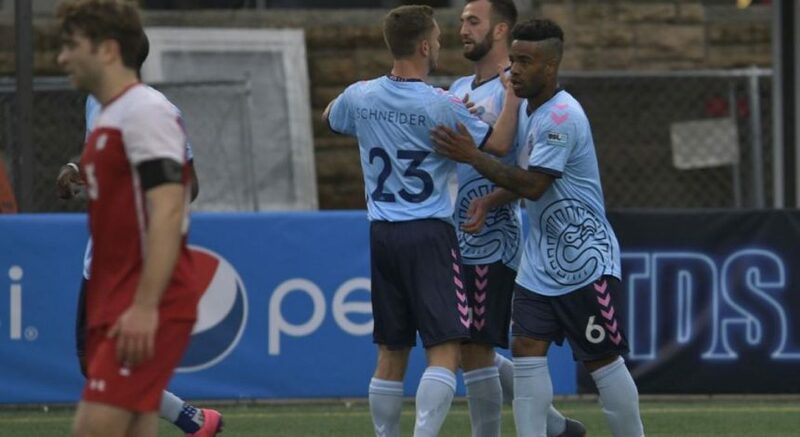 Ferguson also made clear that the loss of Fumagalli is indeed a big one but, he mentioned that Kyle Penniston has really “stepped up to take a lead role” and has the potential to fill his shoes. As of improvements for the upcoming year, Ferguson is working on making good habits and perfecting them throughout the season. Junior wide receiver AJ Taylor made his personal goals as well as team goals clear. 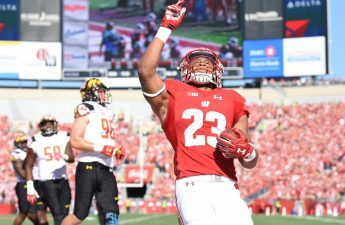 He said with confidence that he is “expecting a championship” for the upcoming season and for the sake of the team and all the Badger fans out there, there is hope that he follows through. Taylor also said that the team over the years has gotten much closer as teammates. “We are coming together more and more and are developing stronger bonds with each other,” said Taylor. 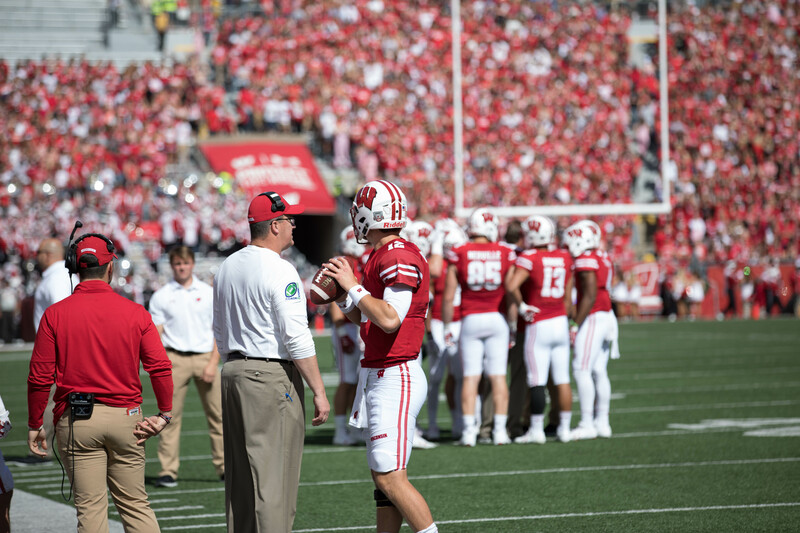 The number one thing Taylor mentioned he is working on for this season is focusing on getting faster as a wide receiver in order to perfectly execute the plays that Hornibrook sets up. He emphasized that learning is not just learning about what to do, learning about what NOT to do is just as important. Being a senior, Beau Benzschawel had quite the experience with the Badgers and continued to be successful this past season. Benzschawel reflected on his years as a Badger and described how the team has evolved. “The team is much better at an offensive line and bonds are stronger than ever before,” said Benzschawel. The lineman also mentioned that when players graduate it definitely is a loss for the team, but he believes that several players have the potential to reach or even exceed past players. Benzschawel was asked about the retirement of the Wisconsin alumni Joe Thomas, an offensive lineman who played for the Cleveland Browns for 11 seasons. He was selected third overall in the 2007 NFL draft and has made an amazing impact on both the Cleveland Browns and the Wisconsin Badgers. Benzschawel explained as far as statistics, consecutive seasons and pro-bowls Joe had participated in he hopes future Badger alumni can one day fill his shoes in the NFL. The upcoming spring game will be held April 13 in the one and only Camp Randall Stadium, and tickets will be $5. This will be a sneak preview of what the Badgers are working on in order to tackle the upcoming season. Based on what the Badgers offense had to say it looks like this season should be an interesting one. Morale is high in Madison and the Badgers are ready for a fight!